The Ministry of Health has announced nine outstanding events of the health sector in 2018. 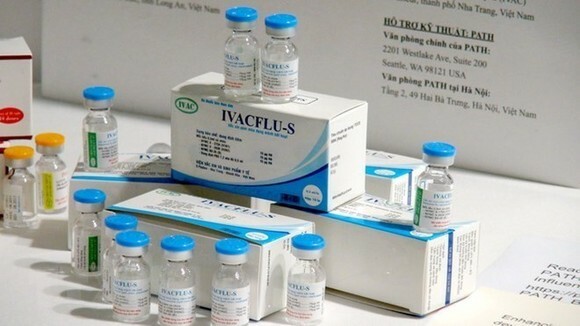 Vietnam has reaped many achievements in producing "3-in-1" seasonal flu vaccine, while its measles vaccine received the Japan International Cooperation Agency (JICA) President Award 2018. On September 25, the Institute of Vaccines and Medical Biologicals (IVAC) under the Ministry of Health (MoH) collaborated with related parties to announce the successful testing of the "3-in-1" vaccine against seasonal flu, including influenza A/H1N1/09, A/H3N2, influenza B and pre-pandemic influenza A/H5N1 flu. 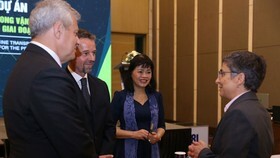 This is the first influenza vaccine produced by Vietnam, contributing to proactively preventing diseases and reducing costs. The project conducted by the Centre for Research and Production of Vaccines and Biologicals (POLYVAC) of the Ministry of Health, completed the production of measles vaccine and combined measles-rubella vaccine, and successfully produced high quality vaccines that meet GMP standards of the World Health Organisation (WHO). The project received the JICA President Award 2018 on December 13. The WHO announced that Vietnam has eliminated lymphatic filariasis as a public health problem. On October 8, 2018, at the 69th session of the WHO Regional Committee for the Western Pacific held in Manila, the Philippines, WHO Director-General Tedros Adhanom Dhebreyesus and WHO Chief Representative in the Western Pacific Dr. Shin Young-soo presented Vietnam with a certificate recognizing the country’s elimination of lymphatic filariasis, bringing the total number of regional nations that have successfully eradicated the disease to 11. Since 2002, the programme to eliminate lymphatic filariasis in Vietnam has been implemented nationwide in accordance with the WHO’s guidelines. The Ministry of Health was honoured at the 17th World Conference on Tobacco or Health in Cape Town, South Africa, on March 7, 2018 and received the Bloomberg Philanthropies Awards for Global Tobacco Control for its prominent achievements in monitoring tobacco use and policies to prevent tobacco harm. 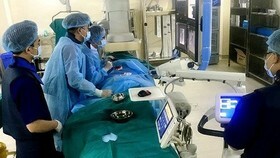 On December 12, doctors of the Hanoi-based Viet Duc Hospital successfully conducted the first transplant of two lungs taken from a brain-dead donor on a cancer patient. 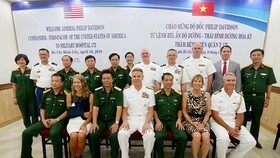 This was also the first time the Vietnamese doctors took other organs from the same donor to transplant into four more patients, a heart transplant for a 60-year-old man, a liver transplant for a 63-year-old woman and a kidney transplant for a 41-year-old man, and another kidney transplant on a 15-year-old boy. As of December 31, 2018, over 82 million people participated in health insurance, reaching 87.5 percent of the population, 2.3 percent higher than the target assigned by the Prime Minister in Decision No. 1167/QD-TTg dated June 28, 2016, and also surpassing the target set by the National Assembly. All 63 provinces and cities nationwide have issued plans to implement the Prime Minister's Directive No. 23 on applying information technology in connecting drug supply establishments. 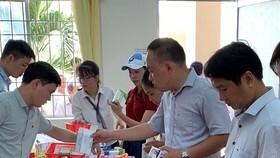 The Ministry of Health has collaborated with the Viettel Military Industry and Telecoms Group and software suppliers to organize training courses for drug supply establishments and granted accounts for 15,178 retail pharmacies. 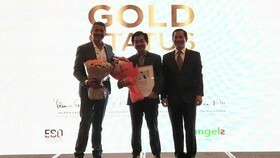 There were 2,787 establishments connected with management agencies and around 55,000 out of 60,000 medicine lists were standardized. 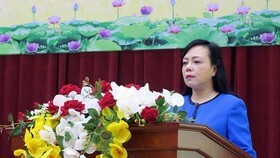 The Ministry of Health issued the Action Programme No.1379/Ctr-BYT to implement the project on building and developing grassroots health networks in accordance with the Prime Minister’s Decision No.2348/QD-TTg, focusing on drastically conducting and expanding family healthcare models at 26 commune-level medical stations. Priority was given to investing in infrastructure and equipment, changing financial mechanisms and health insurance policies, preventing non-communicable diseases, and managing people's health records in line with family medicine principles. The project aims to promote a drastic change in organizational mechanism and effective operation at grassroots medicine facilities, towards improving the quality of healthcare services at local health establishments. 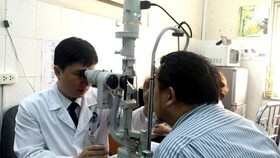 The ministry expects to expand the model to more than 11,000 commune-level medical stations nationwide. On November 12, 2018, the Government issued Decree No.155/2018/ND-CP amending and supplementing a number of provisions related to business conditions under the state management scope of the Ministry of Health, in which cutting down 1,363 out of 1,871 business and investment conditions (72.85 percent), and 169 out of 234 administrative procedures (72.22 percent). 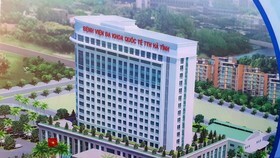 The cutting of business conditions and administrative procedures as well as the list of goods subject to specialized inspection under the ministry’s state management has helped save more than 8.5 million working days per year, and about over VND3.3 trillion per year for enterprises and people (excluding other benefits from business opportunities). “Five-in-one” vaccine ComBE Five produced by Indian vaccine manufacturer Biological E. Ltd, which has ingredients and efficacy similar to Quinvaxem vaccine produced in the Republic of Korea, will be used nationwide to replace Quinvaxem from late December. This vaccine can help fight against five common, potentially fatal diseases affecting infants - diphtheria, tetanus, whooping cough, hepatitis B and Haemophilus influenza type B.
ComBE Five has received the World Health Organization’s pre-qualification approval and more than 400 million doses of the vaccine have been administered to children in 43 countries and territories.